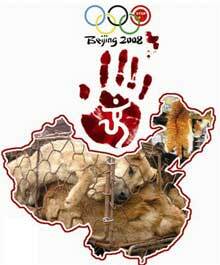 Please boycott the Olympics and all products made in China. 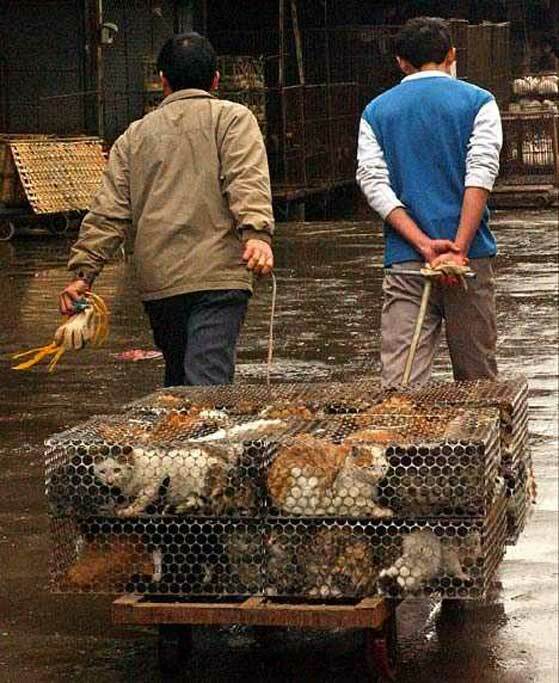 "Shocking Death Camps for Cats Result of Beijing Olympics Clean-Up"
Thousands of pet cats in Beijing are being killed in secretive government pounds, to prepare the Chinese capital for the Olympic Games, it is being reported.According to the U.K’s Daily Mail newspaper, hundreds of abandoned cats are being rounded up and sent to what some animal welfare groups describe as death camps.Terrified cat owners started dumping their pets after the Beijing government recently warned that cats carry diseases, and that ­ according to Chinese officials­ they contributed to the deadly respiratory SARS outbreak, according to the Mail.Residents have become so afraid of the animals, it is reported, that six stray cats ­ including two pregnant females­ were beaten to death with sticks at a Beijing kindergarten by teachers who feared the felines might make the children sick.Some 500,000 cats are believed to have been culled as part of an overall crackdown by communist leaders to clean up Beijing ahead of the Summer Olympics. The extreme measures have provoked anger among some animal rights groups, who say a similar strategy was used to round up stray dogs across the country. 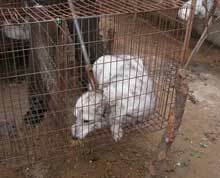 Welfare for Animals Global "an international political lobby and advocacy force reaching the world"